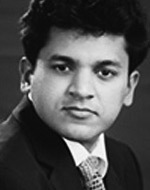 Anurag Garg is a leading practitioner in the aerospace and defense industry for Strategy&. He is a director with PwC India, based in Delhi NCR, and advises Indian and international companies looking to expand in or enter the defense sector. Military contractors are reinventing themselves for a world of rapidly evolving technology and new geopolitical relationships.